December 7, 2017, 3:33 PM · Ah, Christmastime: trees, wreaths, stockings, presents, snow, and... Mickey’s Very Merry Christmas Party. It's the most wonderful time of the year! 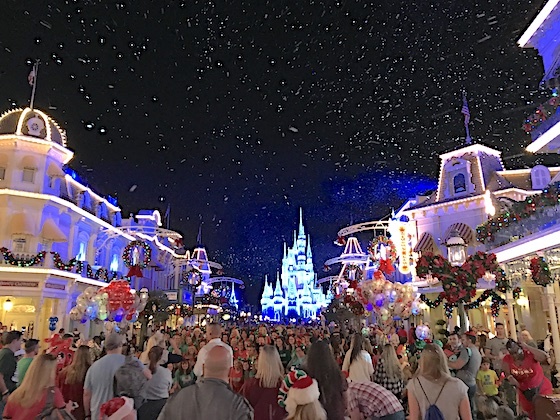 But Santa is not the only one with a list – here is our list of the top five things you should know before you go to Magic Kingdom's hard-ticket after-hours event this holiday season. Make sure to check it twice! 1. Entrance Time: Did you know you can enter Walt Disney World's Magic Kingdom at 4pm with just the event ticket? Yes, even though the party officially starts at 7pm, you do not need an extra Magic Kingdom ticket to enter the park early, beginning at 4pm. And, yes, you even can get FastPass+ reservations between 4pm and 7pm. (There are no FastPass+ passes once the party begins). However, if you do want to enter before 4pm, you must buy a regular admission ticket. 2. Fireworks: The firework display, “Holiday Wishes,” is my favorite. Unless you plan on being at Disney during very busy Christmas week, the only way to see the display is at the party. During the display, fireworks will be fired from around the park, surrounding you with awesomeness. Fireworks begin at 10pm. Do not miss it — grab a good spot at least a half hour before it begins and make sure you look for Tinker Bell coming down from the top of Cinderella’s beautifully-lit castle. 3. Snack Locations: This might not be at the top of the list for some, but finding the locations for all the different snacks becomes a priority when you have a limited time to take in all the Christmas spirit (and snacks). Each location typically has different treats, so find out which locations serve your favorite treats before you go. I suggest getting the pretzel; it was a delicious new addition. Note: for those of you that aren’t like Buddy the Elf (sorry, not a Disney reference), where the more sugar, the better - healthier and gluten-free options are available. Just ask. 4. 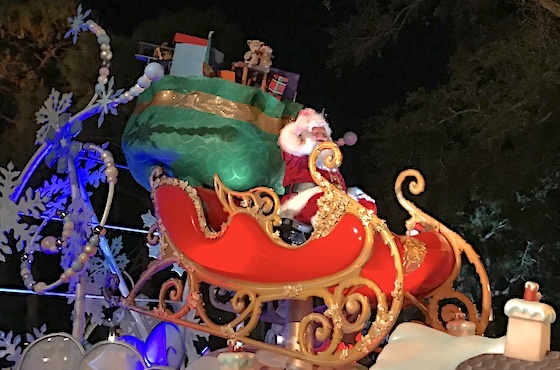 Parade Times: Mickey’s Once Upon a Christmastime Parade runs twice during the night. 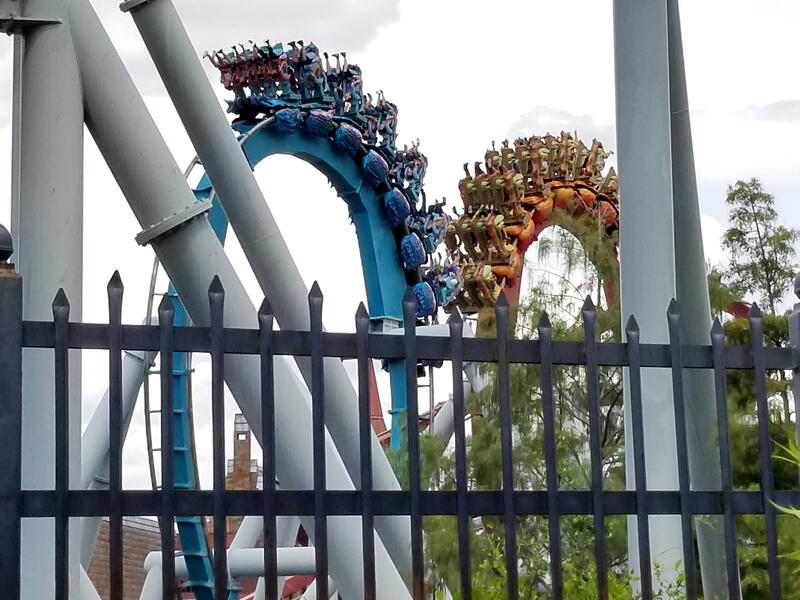 The first one is at 8:30pm and relatively busy, which makes it a great opportunity to get on those rides. The next parade is at 11:00pm and not as busy. Check it out and don’t forget to wave to Santa at the very end. 5. Snow Location: When you walk down Main Street, U.S.A., and it “snows,” it’s just magical. There is just something about Main Street at night with all the lights, garland, wreaths and other holiday décor when the “snowflakes” (okay, soap suds) come down that makes you want to smile. It did to me. Even though the snowfall occurs multiple times during the night, you want to get that camera out and take those photos! Bonus: A Frozen Holiday Wish. Your kids never get bored of Frozen right? Well check out a little lighting of the castle show featuring Elsa and Anna on Cinderella’s castle stage at 8:15. Although this list is not comprehensive, this top five should provide some assistance in your planning. I do hope it helps when you head to the party. So have a Very Merry Christmas! Did I miss something? Please add your tip in the comments below! December 7, 2017 at 7:31 PM · Mickey’s Christmas party is most probably the busiest period the MK sees (maybe Dec 31st tops it) so if you’ve been to the park and thought it was crowded ... you’ve seen nothing until you go to the Christmas party. You don’t get to see much of anything different apart from the parade. The fireworks can be seen in far less mass of humanity at one of the 3 resort hotels around the lake. Our favorite spot is on the grass outside Narcoosees at the Grand Floridian. A superb view and you get to see the GF all decked out in the Christmas decor as well ... recommended. High price for admission and nothing out of the ordinary to see, has had us missing out on the party for the last couple of years ... and right now I don’t see any reason for that to change next year either. If your on vacation and not due back in Florida for the foreseeable future then yes, go to the party, but don’t buy a MK ticket and a party ticket .. do one or the other. December 7, 2017 at 8:54 PM · Wow! I love Christmas time and Mickey’s Very Merry Party especially! My family and I live in multiple states and always get together in Flordia for the holidays where my parent live. This year we were trying to decide if we should forgo the Very Merry Party but this Article highlighted everything I love about it! So Very Merry here we come! Merry Christmas everyone! December 11, 2017 at 5:44 PM · It’s the only time that I know of that the princes meet with their princesses. My daughters, ages 2 and 6, loved meeting Naveen, Flynn Rider, Prince Eric, Prince Phillip, Snow Whites Prince, and Prince Charming. Other than that, the cookies were gross and the lines were long. I would not go again.